What did you think of the Downton Abbey series finale? I loved all the happy endings, even if it was a bit predictable. The series ended with a smile on my face. 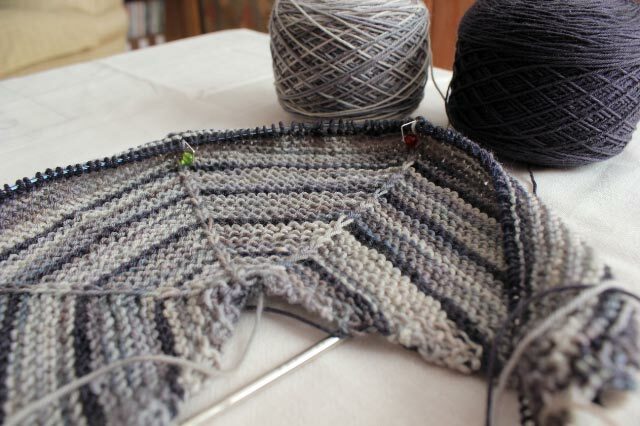 I have been a knitting fool the last couple of months, working on the final Downton Abbey Mystery Knit-a-Long (MKAL) hosted by Jimmy Beans Wool. I have done all four of the Downton Abbey-themed knit-a-longs and they have been so much fun! (We won’t discuss the fact that I haven’t actually completed last year’s project yet…) They stretch my skills and produce beautiful garments. This year’s project was a shawl. I really don’t need another shawl in my wardrobe, but what can I say? I enjoy knitting shawls. I’m slowly learning how to wear them. Because it was the final MKAL and because I loved the colors, I sprung for the yarn that was specially-dyed for this project. It is called “Yorkshire Skies”, and I think it really does look like sky when it is knit up. This was a super-fun project! The construction of it was quite unique (at least to me), which kept us guessing what the final product would look like (remember, this was a mystery, with small sections of the pattern released over 8 weeks). I think this might be the prettiest thing I have ever knit. Pattern: Downton Abbey MKAL 2016, by Kristen Ashbaugh-Helmreich. It’s been a while since I have shared my knitting projects with you, but that doesn’t mean I haven’t been knitting! I have an unprecedented (for me, anyway) three projects going right now. 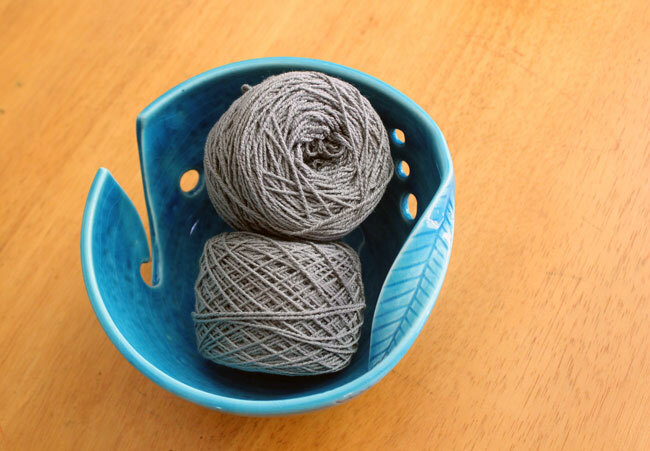 Each of the projects is very different, except for one similarity: they all use yarn in some shade of gray. First up is a project I actually started over a year ago. It’s my first pair of socks, Focus Pocus by Michelle Hunter. As I said, I started this one a year ago, but I didn’t like how tight the cast-on edge was. It was hard to get over my heel, and it felt a little tight on my calf. So I ripped it out. I put off starting over for several months. The cast-on and knitting of the first few rows is quite fiddly and stressful and I just couldn’t bring myself to do it. I finally braced myself and cast on in November. To address the too-tight edge I used a larger needle for the cast on, then switched back to the smaller needle when I began knitting. This not only helped with the tight edge, but it seemed to make the whole process go a little easier. Now that I am well into the knitting, I am enjoying this project! I am about halfway through the cuffs of these socks. This project is temporarily on hold while I work on some other projects, but I am looking forward to getting back to it. Project 2 – A Mystery! I will tell you more about this project when I finish it in a few weeks! The yarn is Lorna’s Laces Shepherd Sock. 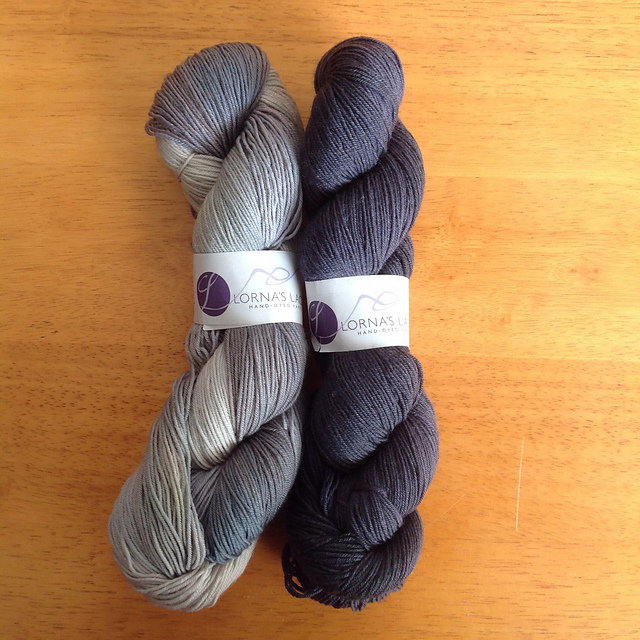 The color on the left is called “Fifty Skeins of Gray – Anastasia” and the color on the right is “Kerfuffle”. I love these two colors together! I can’t wait to see how this one turns out! I finally finished my Downton Abbey Mystery Knit-a-long project last week, officially known as “Lady Violet’s Gauntlets”. This is the most complex project I have made to date and I am very happy with how they turned out! I have worn the gloves out a few times and I really like them being fingerless when I am driving. It is so much easier to get my daughter buckled in, get the music playing, steer, etc. with my fingers available. They are also nice for keeping my hands and wrists warm in the evening while I’m watching TV. I really, really enjoyed this project. The pace was perfect and I was able to keep up with the group each week. The discussion on Ravelry was friendly and helpful. I learned a ton, both from working the project and from the other participants. Magic Loop – I love it! Thanks to Jimmy Beans Wool and Kristin (the designer) for hosting such a fun KAL! If you are interested in this pattern you can find out more here: http://www.ravelry.com/patterns/library/downton-abbey-mystery-kal-with-jimmy-beans-wool. All my pattern notes can be viewed on my Ravelry project page. JBW is hosting another mystery KAL inspired by the show Game of Thrones that I am seriously considering doing because this one was so much fun! Welcome to what I hope will become a semi-regular feature here at From Scratch. In this new feature, I will be sharing updates on my non-cooking projects, such as the Downton Abbey Mystery Knit-a-Long I am working on. If you see regular updates, that means I am actually working on projects (not just hoping to be working on them). There is a panel of lace roses on top of the glove. At the top of this picture, there is a row of eyelets which will be used to gather the gloves. Since taking these pictures I have completed Clue #5, which involved knitting an I-cord to lace through the eyelets and casting on the second glove. I can’t wait to wear these! I am probably going to redo the top corner. Since finishing this, I have learned how to cast off the neckline more smoothly. 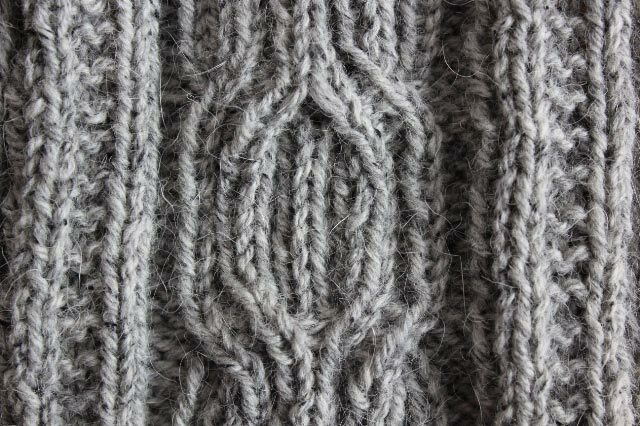 I also want to complete the final twist in the cable pattern to close the top “O”. The neckline portion that I will probably redo. Once that is done, all I have left is to complete the second front piece. Then I can block it and sew it together! I don’t have much going in the sewing department, but I did make a pair of sweatpants for my daughter after modifying the pattern I used for her Halloween costume. Altered sweat pants – they fit much better! They fit great and I hope to make a second pair soon. 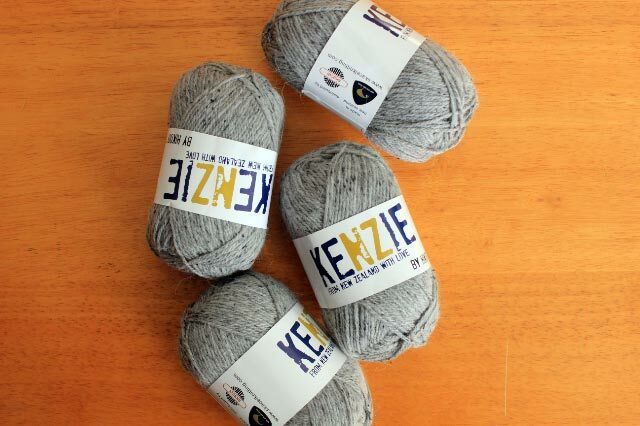 I am kicking off the new year with an exciting new knitting project! It’s a mystery knit-a-long (KAL) hosted by Jimmy Beans Wool. The project is inspired by the show Downton Abbey and JBW’s limited-edition yarn, “Christmas at Downton“. I have only recently climbed aboard the Downton Abbey bandwagon. I started watching the DVDs from Netflix a few months ago and quickly got hooked. I am looking forward to the new season starting on Sunday! My yarn wound into a ball and ready to go! The mystery part of the knit-a-long is that we don’t know what we are knitting. Pieces of the pattern will be revealed every Sunday for the duration of Downton Abbey Season 3. We know it’s not a hat or socks, and that it is inspired by the character played by Maggie Smith, Violet the Dowager Countess. Theories have ranged from fingerless gloves to a shawl to a scarf. I think it will be something worn around the neck, but I’m not sure what. While the project was designed to use the “Christmas at Downton” yarn, it is not a requirement for participating in the KAL. I love the colors, so I decided to go ahead and use the suggested yarn. The colors are much more vibrant in person than they are coming across in my photos. And lucky me got to pick up my yarn in person since Jimmy Beans Wool is local to Reno! Christmas at Downton. I love the colors of this hand-dyed yarn! One thing that attracted me to this project is that it only uses one skein of yarn, so I know I can keep up with the group and actually finish the project. I also like that I will be learning some new techniques. In particular, magic loop and crochet provisional cast-on. There will be an optional lace panel in the project. I have never done lace before, so I plan on waiting until we get the lace instructions and practicing a bit before I decide if I will include the lace or not. Here is my swatch. I love how it looks knitted up, and the yarn is so nice to work with. My excitement over this project has reignited my excitement about knitting in general, and I have even been working on my sweater. 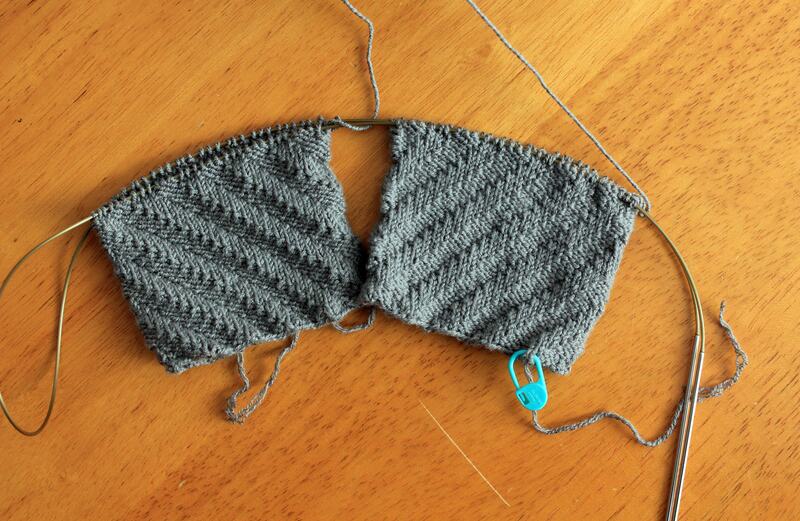 I really hope I can ride the wave of enthusiasm until the sweater is finished! If you are interested in participating in the KAL, you can find more information on the Jimmy Beans Wool Blog or on the pattern’s Ravelry page. The first bit of instructions will be posted on January 6, 2013! Who else out there is watching Downton Abbey? What knitting projects are you working on?